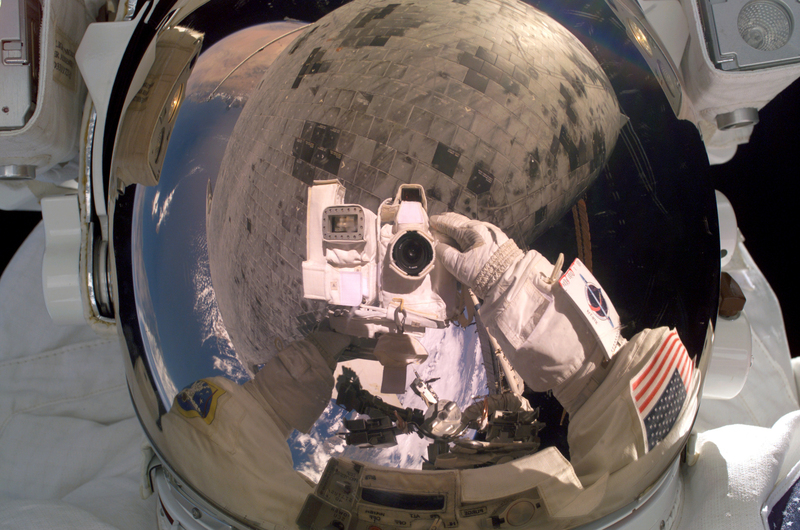 Posted on August 7, 2005 by Mark A.
Astronaut Steve Robinson turns the camera on himself during his historic repair job “underneath” Discovery on August 3. The Shuttle’s heat shield, where Robinson removed a pair of protruding gap fillers, is reflected in his visor. And for my dial-up friends, go here for a smaller version of that amazing photo.